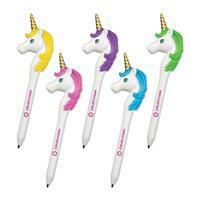 Write your thoughts and express your creativity with these adorable unicorn pens. 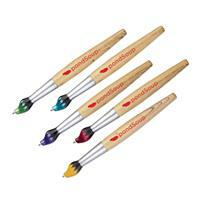 Guaranteed to make anyone smile, these pens can be given to just about anyone. From children, to hospital nurses, to art schools, these pens will help spread your business's name in a unique way. 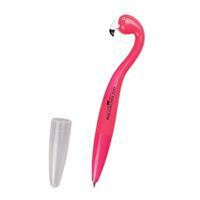 Get ready to bring the laughs with this funny flamingo-shaped pen. Whether you're a zoo, hotel resort, real estate agency, or just want to make people laugh, this flamingo pen is a creative way to spread some fun for your business. Our syringe pen is a unique gift for employees, families and students. Ideal for tradeshows, dental and medical offices, campus bookstores and museum gift shops. 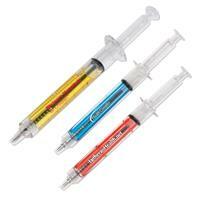 All syringe pens have blue ink. Available in red (S70264X) , blue (S70265X) , yellow (S70394X) and green (S70395X). 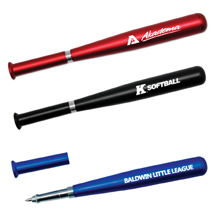 Our popular baseball bat pen is now available in 3 metallic colors! Measuring 5 1/8", this replica is great for bars, restaurants and sports themed events. A fun gift for sports writers or world series fans! Pens come with blue ink. Available in black (S70790X), blue (S70789X), and red (S70788X). 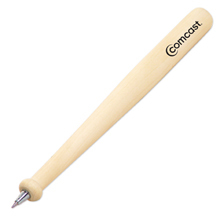 Knock your next marketing campaign out of the park with this sports-themed writing implement! Measuring 7", this replica would be ideal for bars, pubs and restaurants. Use as a tradeshow giveaway or conference tote bag insert. A fun gift for sports writers or World Series fans! Pen comes with blue ink. 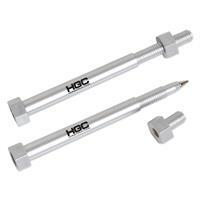 Our tool shaped pen features a nut & bolt design. Ideal for all kinds of industries and businesses! Use as a tradeshow giveaway or conference tote bag insert. Also available in wrench pen design. Pen comes with blue ink. 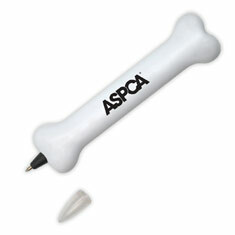 Our dog bone pen is a fun gift for animal and dog lovers. Ideal for pet stores and veterinarians. Available in white with black ink. 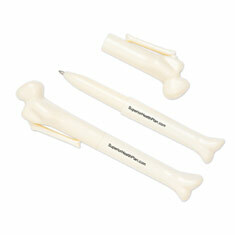 Our bone pen is a unique gift for employees, families and students. Ideal for tradeshows, campus bookstores, and museum gift shops. Comes with blue ink. 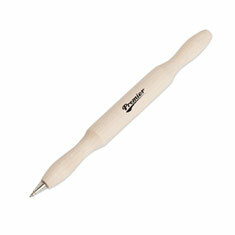 Roll out your next marketing campaign with our rolling pin pen! Ideal for the food & restaurant industry. Use as a tradeshow giveaway or conference tote bag insert. A fun gift for bakeries and catering halls. Pen comes with blue ink. Our drum stick pen is great for music stores, studios and more. Wood pen with blue ink. Our guitar pen is a unique gift for employees, families and students. Perfect for promoting a local music studio. Ideal for tradeshows, campus bookstores, and museum gift shops. Pen comes with black ink. One color and one location imprint only.